Forget underground bunkers; the survivalist tool of the future is the portable radiation detector. Need to know whether that wasteland in the distance is safe for scavenging? 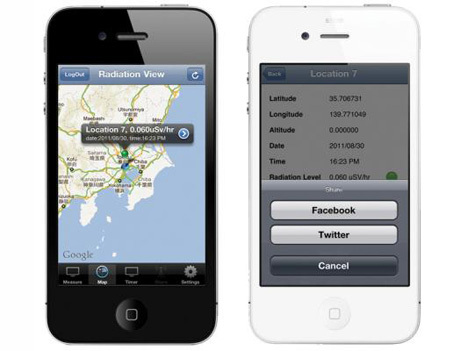 Just plug the RDTX Portable Radiation Detector into your iPhone or iPod Touch and it’ll tell you whether or not the radiation level is safe for you. A simple three-color system tells you whether you should turn tail and head for safer ground: green means safe, yellow means elevated radiation levels were detected, and red means you’re in a danger zone. 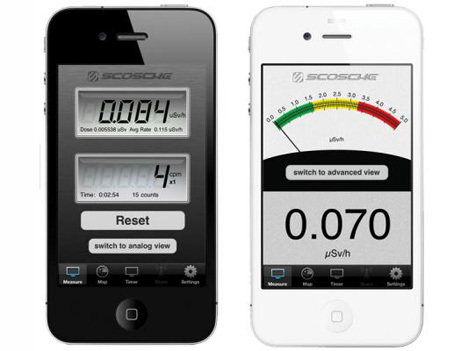 Although we aren’t sure that social networking will still be a thing after large-scale nuclear decimation, the device from Scosche will share your radiation measurement results via Facebook, Twitter or Google Maps. At least then you can save your friends the trouble of exploring the same places in the nuclear wasteland that you’ve already determined are dangerous. There may very well be a good use for this tool pre-nuclear wasteland (like for people who live near the damaged Fukushima plant in Japan), but it almost seems like a tongue-in-cheek product poking fun at just how many things we trust our iPhones for these days. 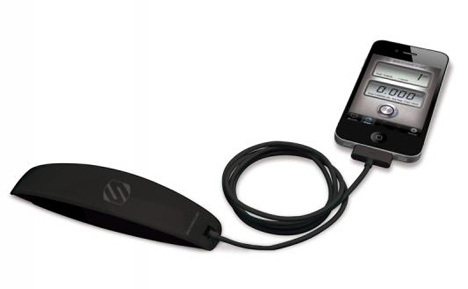 Nevertheless, it looks like a genuine product from Scosche that sells for a reasonable $249.99 – but it’s not available in the U.S. and it appears to be sold out to everyone at the moment.